Groffr.com - Redstone Consultancy - is world's first and India's largest group buying site for real estate. We source the best discounts and best deals on property and help buyers purchase their dream home and save money. 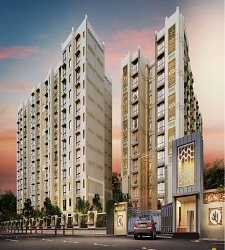 Sector 37d, Gurgaon | Built-up Area : 1691 Sq. ft.
Sector 109, Gurgaon | Built-up Area : Sq. ft.
Andheri East, Mumbai | Built-up Area : 1020 Sq. ft.
Thane, Mumbai | Built-up Area : 585 Sq. ft.
Thane, Mumbai | Built-up Area : 578 Sq. ft.
Sector 111, Gurgaon | Built-up Area : 1455 Sq. ft.
Sector 70 A, Gurgaon | Built-up Area : 2160 Sq. ft.
Sector 70 A, Gurgaon | Built-up Area : 1830 Sq. ft.
Sector 104, Gurgaon | Built-up Area : 1590 Sq. ft.
Sector 86, Gurgaon | Built-up Area : 1590 Sq. ft.
Sector 86, Gurgaon | Built-up Area : 1290 Sq. ft.
Sector 103, Gurgaon | Built-up Area : 2000 Sq. ft.
Sector 103, Gurgaon | Built-up Area : 1886 Sq. ft.
Sector 103, Gurgaon | Built-up Area : 1368 Sq. ft.
Sector 83, Gurgaon | Built-up Area : 3240 Sq. ft.
Sector 102, Gurgaon | Built-up Area : 2025 Sq. ft.
Chembur, Mumbai | Built-up Area : 1030 Sq. ft.
Kharghar, Mumbai | Built-up Area : 1580 Sq. ft.
Koparkhairane, Mumbai | Built-up Area : 1050 Sq. ft.
Vile Parle East, Mumbai | Built-up Area : Sq. ft.
Bandra West, Mumbai | Built-up Area : 1100 Sq. ft.
Juhu, Mumbai | Built-up Area : 3000 Sq. ft.
Juhu, Mumbai | Built-up Area : 1400 Sq. ft.
Andheri West, Mumbai | Built-up Area : 900 Sq. ft.
Andheri West, Mumbai | Built-up Area : 450 Sq. ft.
Andheri West, Mumbai | Built-up Area : 650 Sq. ft.
Andheri West, Mumbai | Built-up Area : 850 Sq. 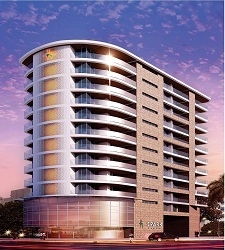 ft.
Lokhandwala, Mumbai | Built-up Area : 1000 Sq. ft.
Andheri East, Mumbai | Built-up Area : 600 Sq. ft.
Bandra West, Mumbai | Built-up Area : 1500 Sq. ft.
Bandra West, Mumbai | Built-up Area : 2800 Sq. ft.
Khar West, Mumbai | Built-up Area : 1700 Sq. ft.
Santacruz West, Mumbai | Built-up Area : Sq. 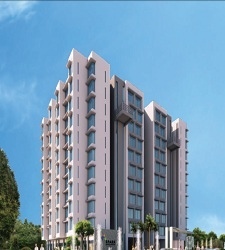 ft.
Pali Hill, Mumbai | Built-up Area : 1200 Sq. ft.
Borivali East, Mumbai | Built-up Area : 5000 Sq. ft.
Goregaon West, Mumbai | Built-up Area : 1800 Sq. ft.